Manchester United's executive vice-chairman Ed Woodward believes the club's new interim manager Ole Gunnar Solskjaer will 'unite the players and fans'. The Old Trafford legend, 45, replaces Jose Mourinho on what is effectively a loan move from Norwegian side Molde, after the Portuguese boss was sacked yesterday. Solskjaer scored 126 goals in 366 appearances for United during 11 seasons at the club. 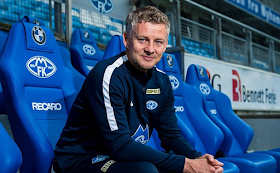 In comments published on Molde's website, Solskjaer said that he will return to the club, whose league campaign begins at the end of March, when his duties at United are complete.